your senses and your dignity. 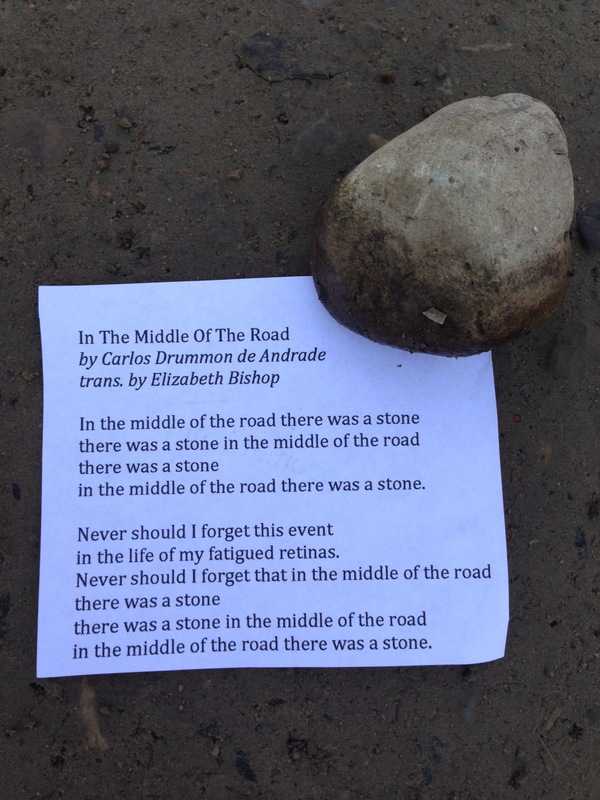 This one is from my Twitter feed, so I’m not going to comment too much, except to explain the very sorry state of the paper this poem is printed on, the tears and crumples. I’ve carried “The Business Life” around in my purse for the better part of a year. Bad things happen to papers in my purse. And I can’t bear to throw out a poem, no matter how worn. I left the poem in a lonely aisle of Office Depot, but it really belongs in a sales training program. Or a life training program, if I’m going to be gloomy about it. A brief bio: David Ignatow (1914-1997) was the child of Russian immigrants. (Of course! That Russian fatalism is all over this poem.) He was born in Brooklyn, and after graduating from high school, worked as a bookbinder and newspaper reporter. Work being the subject of this poem and of many of his poems, it’s interesting to note how many different places Ignatow worked in his life to support his family: at a vegetable market, hospital, telegram office, paper company (hello, Michael Scott), and several universities. I’ve liked this guy for a long time, and reading about his life, I like him even more. 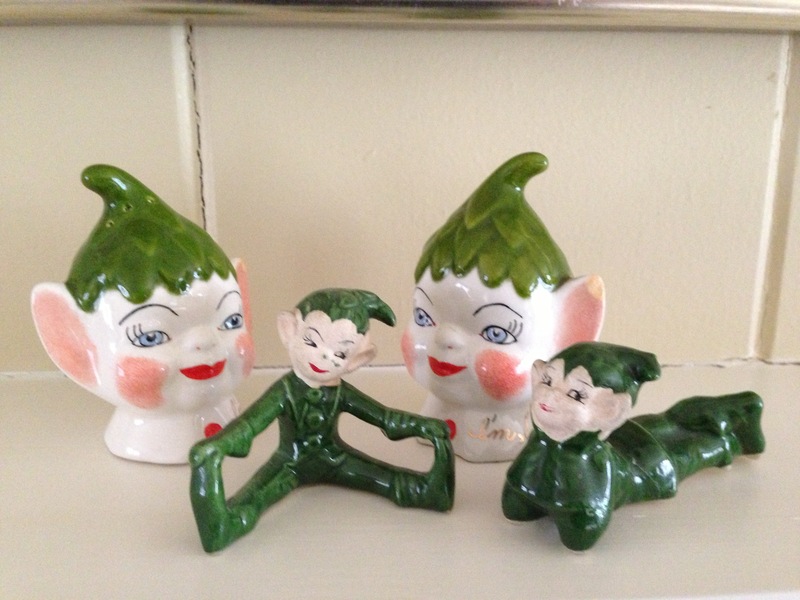 Think I’ll have to track down more poems of his to poem-elf. 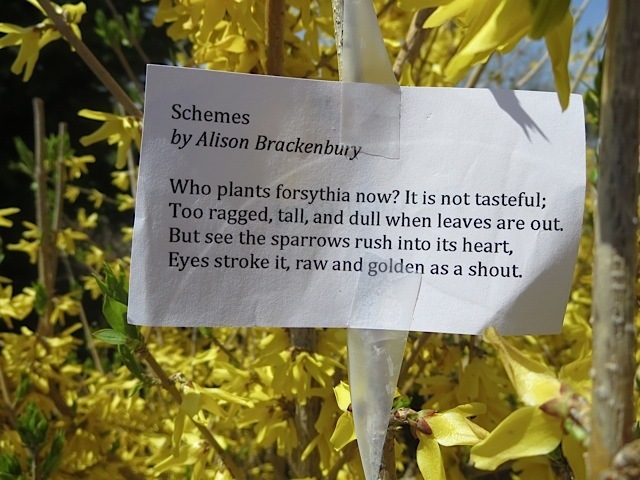 I found this poem last spring, just after the last forsythia bush had turned green. I had to wait a whole year for the next blooming, and then I found that the poem is absolutely right. 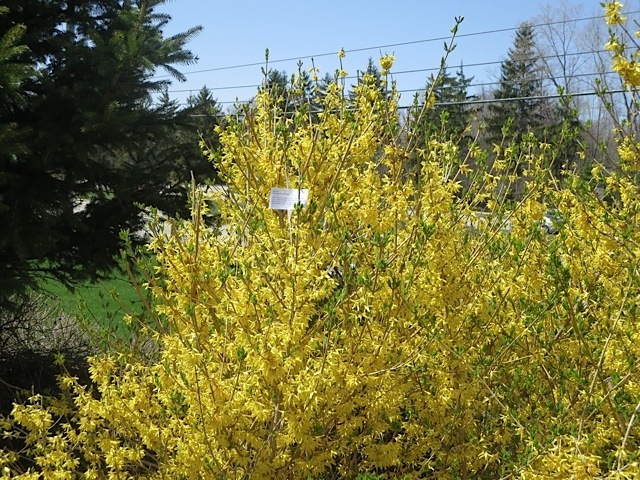 No one does plant forsythia anymore. 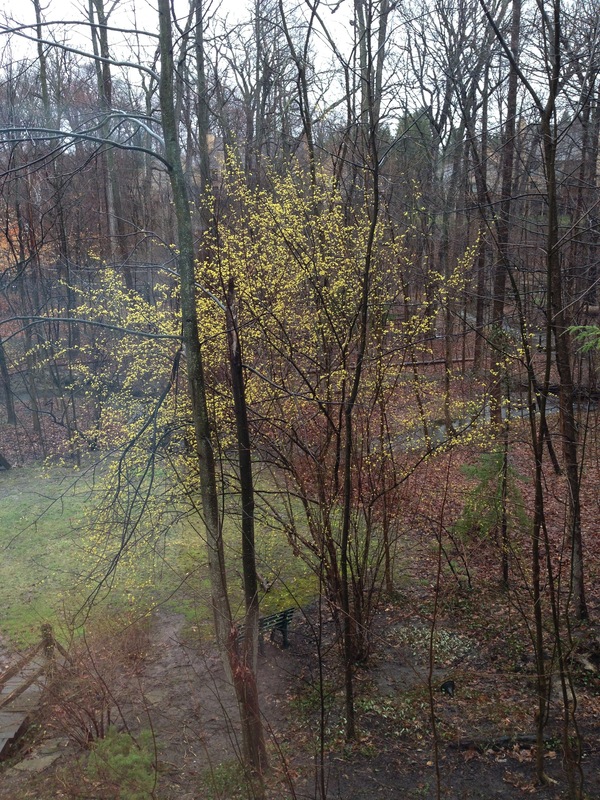 The forsythia I found was mostly on private property. Private property with overgrown yews and old landscaping. I love this little poem, but can’t figure out why it’s called “Schemes.” Any ideas? There was a poem in the middle . . . This is the story of the little poem that could. 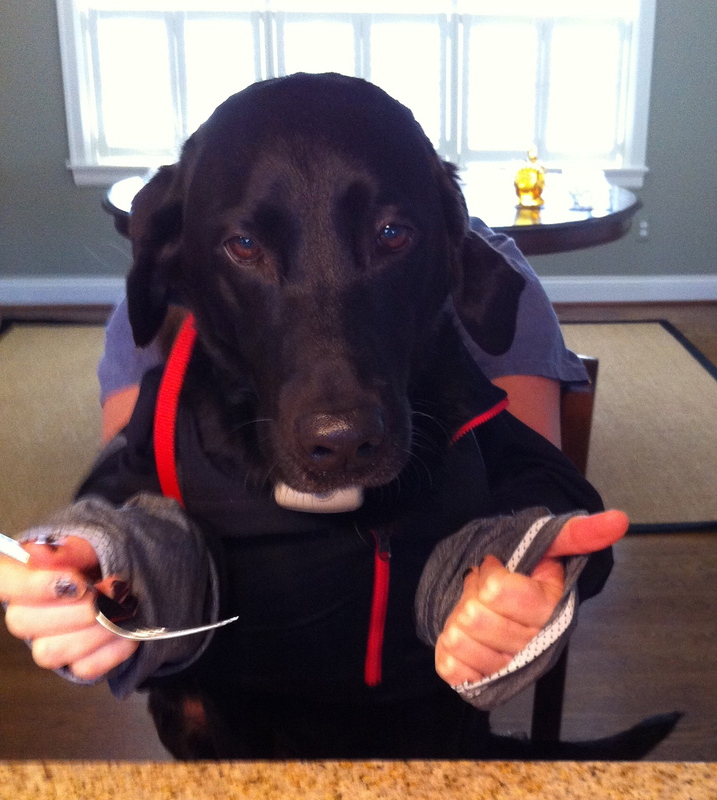 A tenacious little bugger. 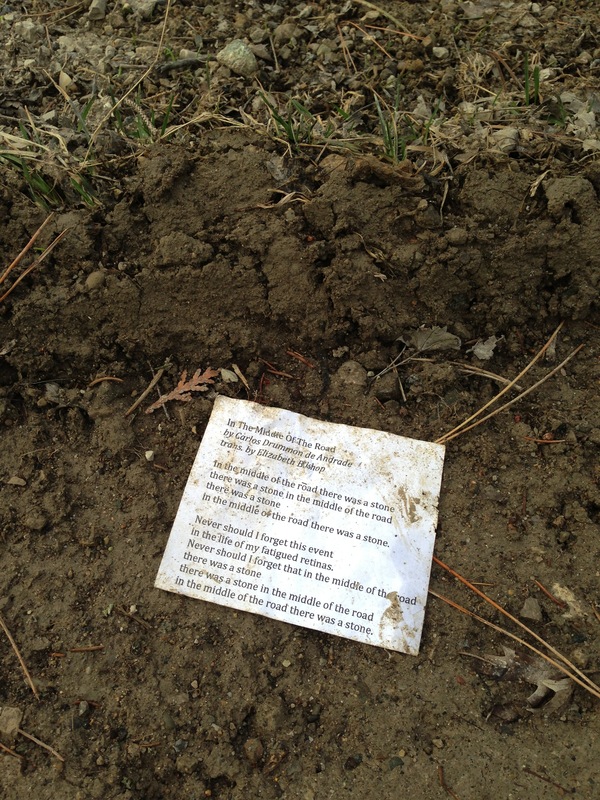 Two days later I walked back along the road and found the poem in a ditch near where I had originally placed it. 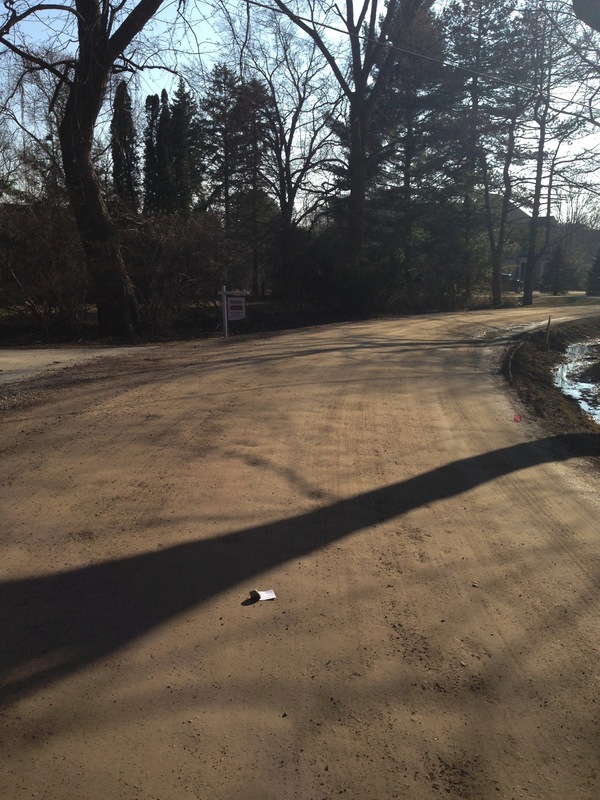 So I put “In the Middle of the Road” back in the middle of the road, this time with no stone. 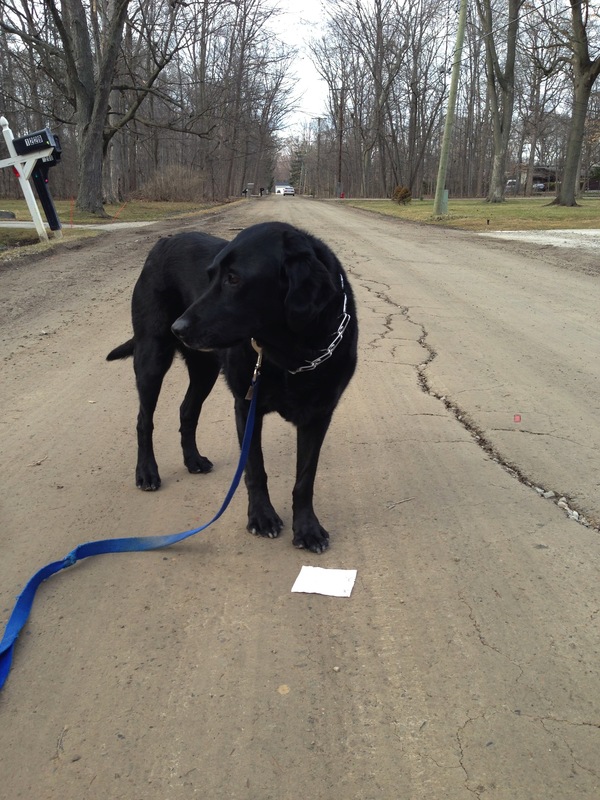 High winds and rain have come since then, but I’ll walk down the road again tomorrow and see if I can find my old friend.